A non-stripping, color safe shampoo that gently removes buildup from the three big causes: product, pollution and hard water. Apply to wet hair. Lather. Rinse. Follow with conditioner. Use in place of regular shampoo as needed. For hard water buildup removal, leave on for 1-2 minutes before rinsing. Full size includes one hard water test strip. 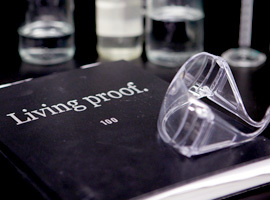 To test: Dip indicator into water sample for 3 seconds or run under water for 3 seconds. Remove. Do not shake. Wait 20 seconds and then match to the closest color block on packette. For hard water buildup removal, leave on for 1-2 minutes before rinsing. This shampoo is packed with ingredients. A chelating agent removes hard water mineral buildup, an anionic polymer removes product buildup and a gentle surfactant removes pollution particle buildup. 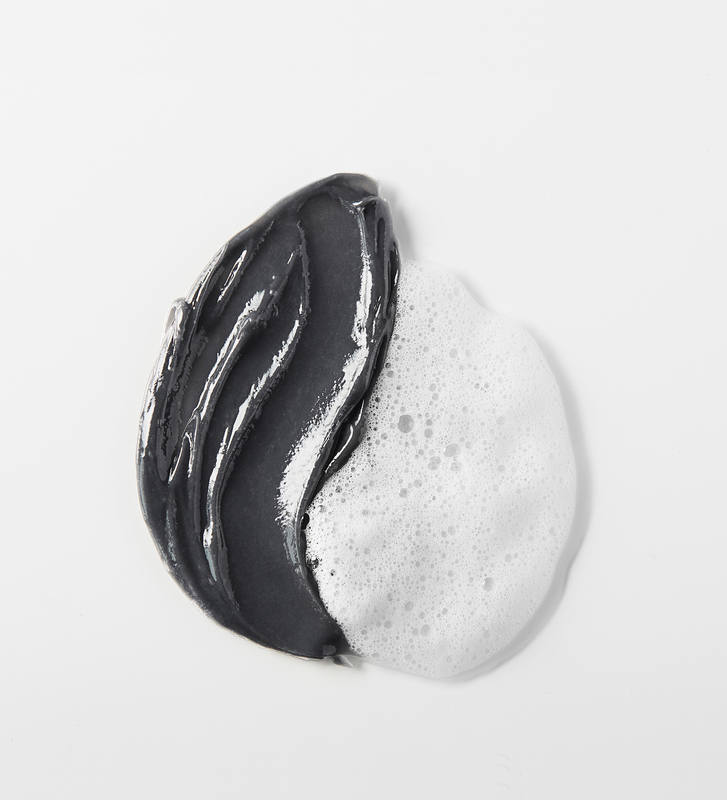 Activated charcoal absorbs oil from scalp and hair. The scalp moisturizing and soothing complex with witch hazel helps moisturize the scalp. What is Perfect hair Day™ Triple Detox Shampoo? Perfect hair Day™ Triple Detox Shampoo is a non-stripping, color safe shampoo that gently removes buildup from product, pollution and hard water. Who is Perfect hair Day™ Triple Detox Shampoo for? Perfect hair Day™ Triple Detox Shampoo is for all hair types. Can men use Perfect hair Day™ Triple Detox Shampoo? Yes, Perfect hair Day™ Triple Detox Shampoo is recommended for women and men. How do I use Perfect hair Day™ Triple Detox Shampoo? Apply Perfect hair Day™ Triple Detox Shampoo to wet hair. Lather. Rinse. Follow with conditioner. Use in place of regular shampoo as needed. For hard water buildup removal, leave on for 1-2 minutes before rinsing. How often should I use Perfect hair Day™ Triple Detox Shampoo? Perfect hair Day™ Triple Detox Shampoo should be used in place of regular shampoo as needed. We recommend using Perfect hair Day™ Triple Detox Shampoo once a week if you are not sure how often you should use this shampoo. Is Perfect hair Day™ Triple Detox Shampoo oil-free? Yes, Perfect hair Day™ Triple Detox Shampoo is oil-free. How is Perfect hair Day™ Triple Detox Shampoo different from other Living Proof shampoos? Perfect hair Day™ (PhD) Triple Detox Shampoo, similar to other Living Proof shampoos, uses a sulfate-free surfactant system to effectively but gently cleanse the hair. PhD Triple Detox Shampoo was specifically formulated to target buildup on hair with the use of some unique ingredients, including a highly charged anionic polymer that targets product buildup, a chelating agent that binds to metal ions in hard water and removes them from your hair, a gentle but super-efficient, sulfate-free surfactant to remove pollution buildup and activated charcoal to absorb excess oil on the scalp, as well as a scalp moisturizing and soothing blend. 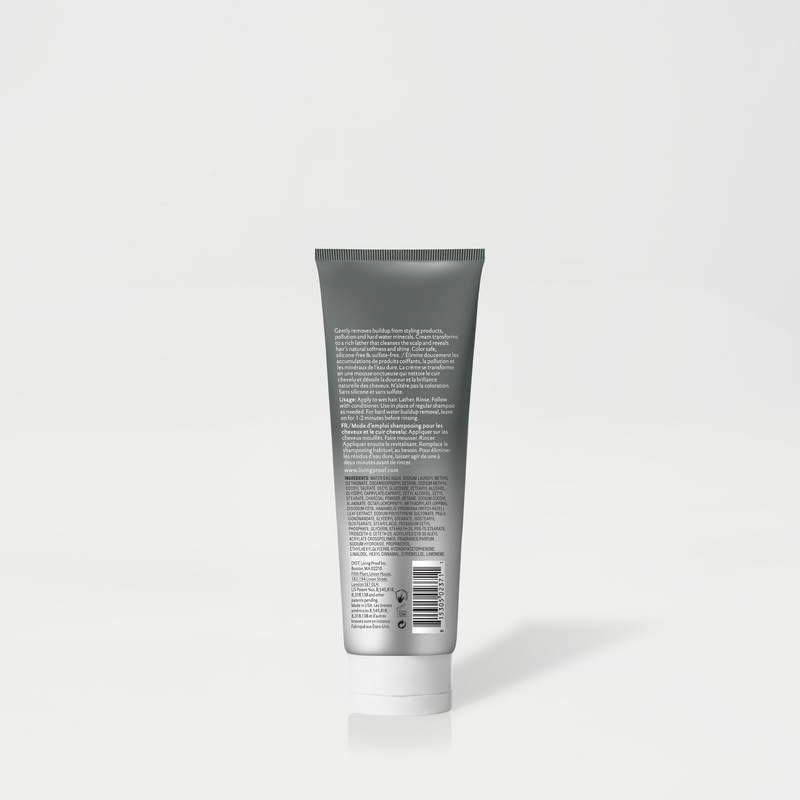 PhD Triple Detox Shampoo also differs in appearance from other Living Proof shampoos as it is a dark gray creamy emulsion that transforms into a rich lather. What is the science behind Perfect hair Day™ Triple Detox Shampoo? Our Healthy Hair Molecule (OFPMA) keeps hair cleaner, longer by repelling dirt and oil. 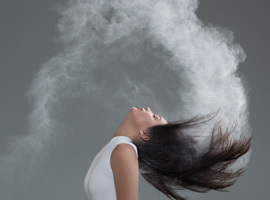 What is the fragrance in Perfect hair Day™ Triple Detox Shampoo? Perfect hair Day™ Triple Detox Shampoo’s scent is the same light citrus fragrance that is found in most other Living Proof shampoos. Full size Perfect hair Day™ Triple Detox Shampoo includes one hard water test strip. To Test Your Water: Dip indicator into water sample for 3 seconds or run under water for 3 seconds. Remove. Do not shake. Wait 20 seconds and then match to the closest color block on packette. Which conditioner should I use with Perfect hair Day™ Triple Detox Shampoo? We recommend using any Living Proof conditioner with Perfect hair Day™ Triple Detox Shampoo. Do I have to use conditioner with Perfect hair Day™ Triple Detox Shampoo? 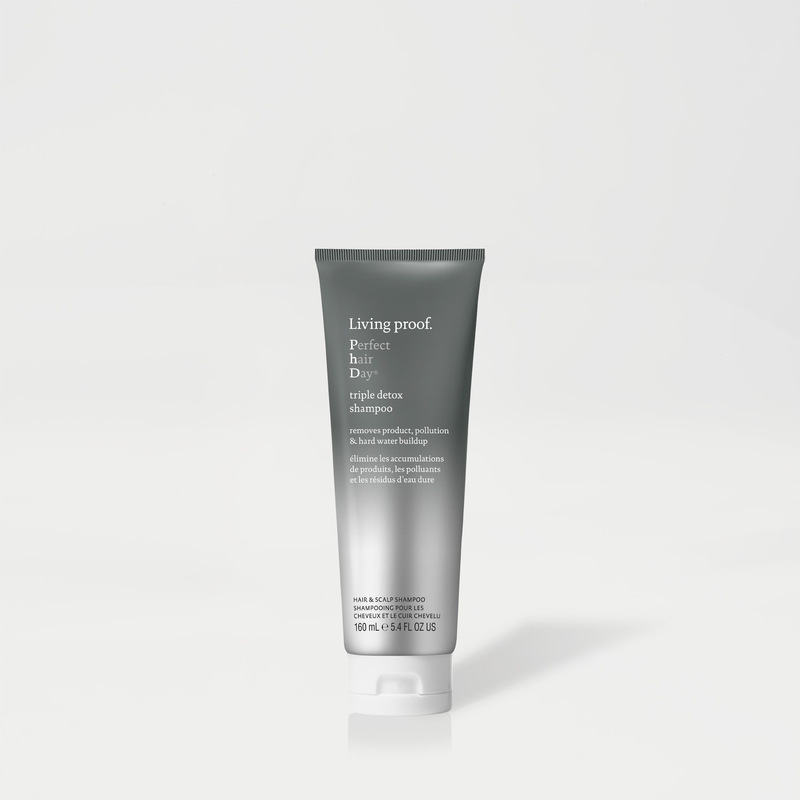 After using Perfect hair Day™ Triple Detox Shampoo we recommend using any Living Proof conditioner. Can I use Perfect hair Day™ Triple Detox Shampoo with purple conditioner? Perfect hair Day™ Triple Detox Shampoo can be used with purple conditioner. 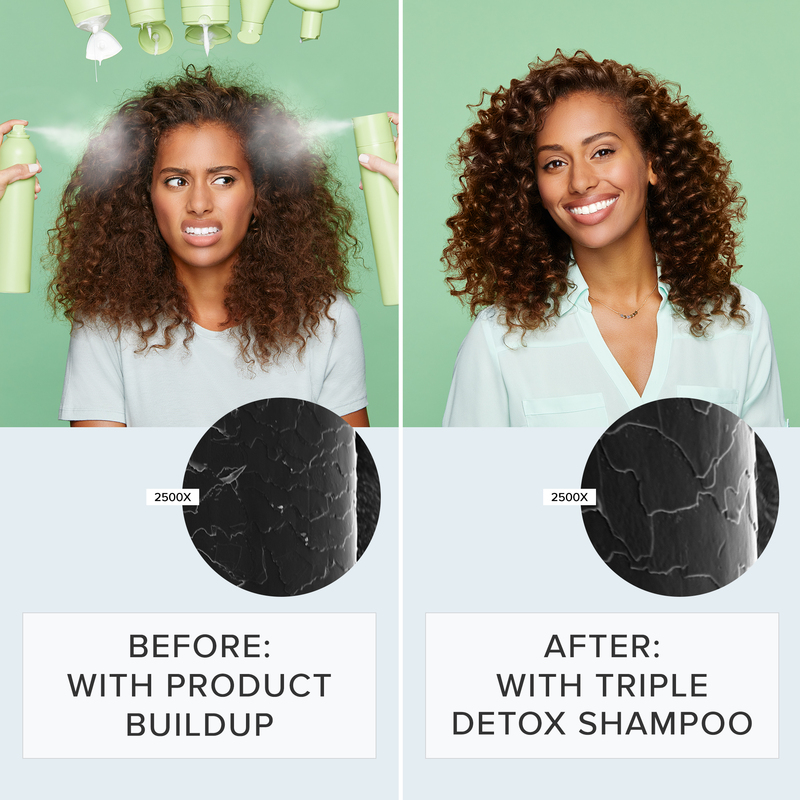 How is Perfect hair Day™ Triple Detox Shampoo different from other activated charcoal shampoos? Most other shampoos on the market that contain activated charcoal rely solely on the charcoal’s activity to remove impurities from hair. 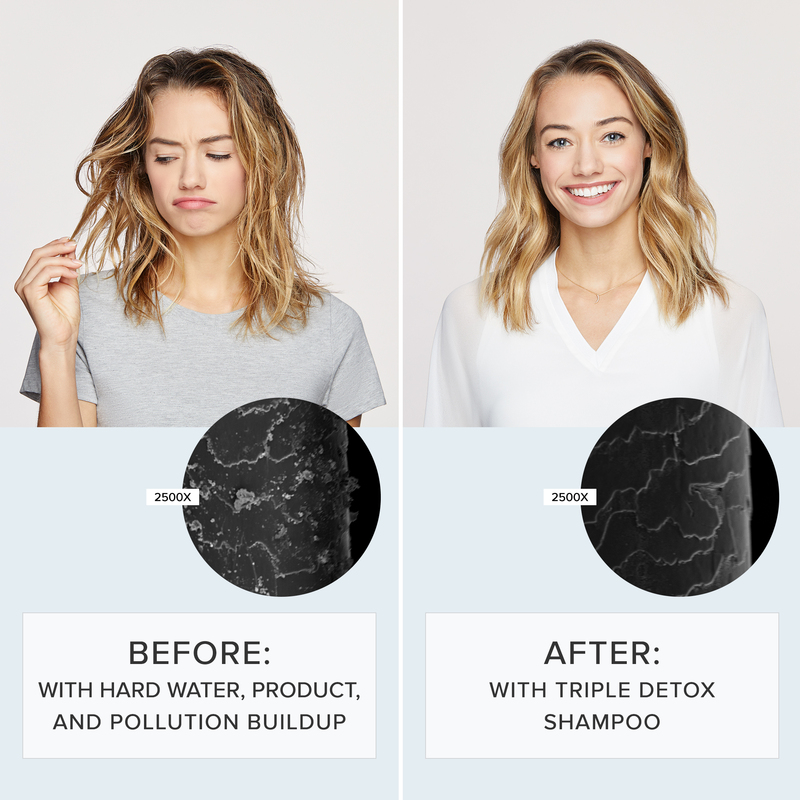 Perfect hair Day™ (PhD) Triple Detox Shampoo was formulated with activated charcoal and other ingredients to target and remove each source of buildup – product, pollution and hard water. The activated charcoal in PhD Triple Detox Shampoo boosts the performance by absorbing excess oil on the scalp and hair. 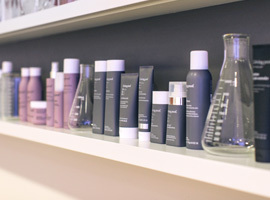 Can I use Perfect hair Day™ Triple Detox Shampoo before a color service? 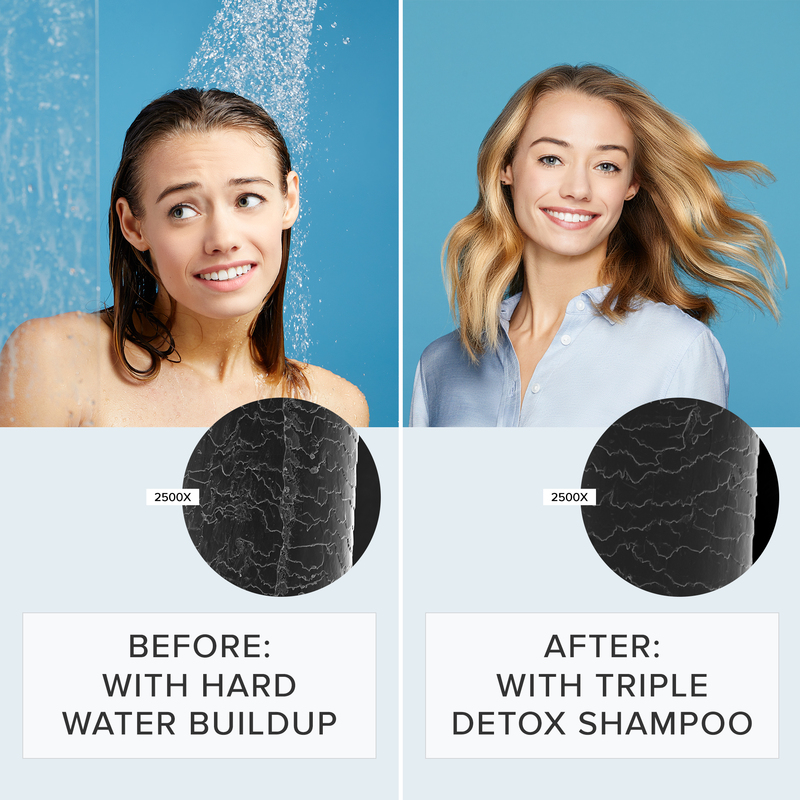 Yes, Perfect hair Day™ Triple Detox Shampoo removes buildup from product, hard water and pollution, providing the optimal hair surface for color service. Will the dark gray color of Perfect hair Day™ Triple Detox Shampoo affect the color of my hair? No, Perfect hair Day™ Triple Detox Shampoo is color safe and will not change the color of your hair or leave behind dark residue. Should I use Perfect hair Day™ Triple Detox Shampoo if I don’t have hard water? 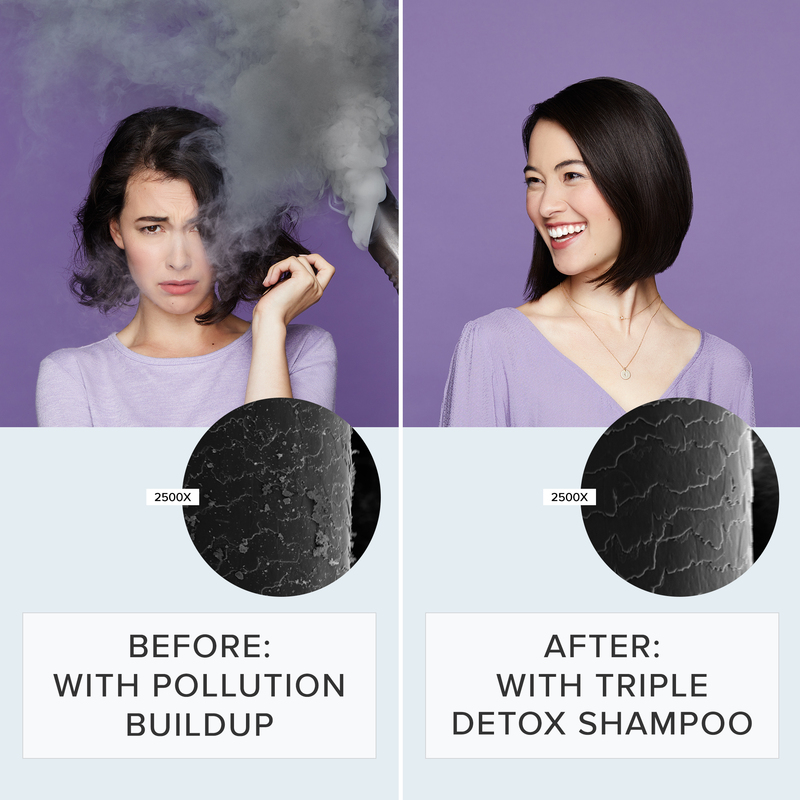 Yes, Perfect hair Day™ Triple Detox Shampoo removes buildup from product and pollution, which affects all people. Should I use Perfect hair Day™ Triple Detox Shampoo if I have a dry scalp? 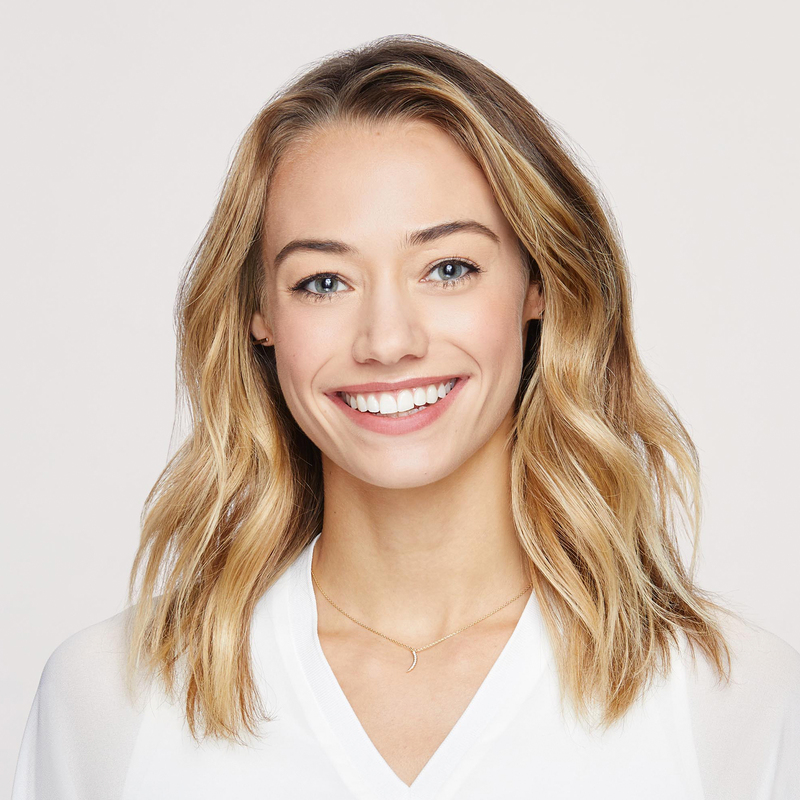 Yes, Perfect hair Day™ Triple Detox Shampoo has a scalp moisturizing and soothing complex (which includes witch hazel extract) that helps moisturize the scalp by balancing hydration and forming an intelligent lipid layer that goes to the damaged areas to reinforce the scalp’s natural barrier. It also has a soothing effect on the scalp. Should I use Perfect hair Day™ Triple Detox Shampoo if I have dry or damaged hair? Yes, Perfect hair Day™ Triple Detox Shampoo is recommended for all hair types. If you have dry or damaged hair, we recommend following with one of these following: Restore Conditioner, Restore Mask or Restore Repair Leave-in. My hair feels extra dry after using Perfect hair Day™ Triple Detox Shampoo before conditioning, is this normal? Some users found their hair felt drier after using Perfect hair Day™ Triple Detox Shampoo, which is normal. 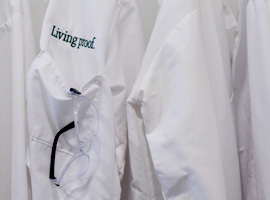 We recommend following with a Living Proof conditioner. My hair feels extra smooth when I apply my conditioner, is this normal? Yes, this is normal. Perfect hair Day™ Triple Detox Shampoo removes buildup from product, pollution and hard water. Without buildup on the hair, you will feel the slip of the conditioner, leaving your hair feeling smoother. 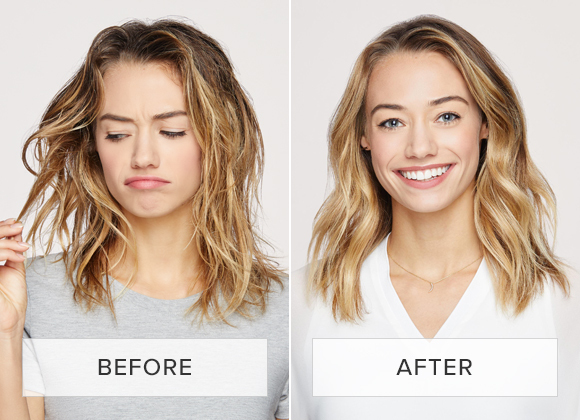 Will Perfect hair Day™ Triple Detox Shampoo strip my hair? No, Perfect hair Day™ Triple Detox Shampoo will not strip your hair like other clarifying shampoos. This gentle formula removes product, pollution and hard water buildup without stripping. Can I replace my regular shampoo with Perfect hair Day™ Triple Detox Shampoo? We recommend using this as part of your existing haircare regimen and replacing your existing shampoo with Perfect hair Day™ Triple Detox Shampoo as needed. If you are not sure how often you should use this shampoo, we recommend starting with once a week. Can I overuse Perfect hair Day™ Triple Detox Shampoo? No, you cannot overuse Perfect hair Day™ Triple Detox Shampoo. Does Perfect hair Day™ Triple Detox Shampoo remove chlorine build-up on hair? Based on our test results, we don’t recommend using it as your solution to removing chlorine build-up on hair. However, Perfect hair Day™ Triple Detox Shampoo can help prevent hair turning green after exposure to chlorine, since it will chelate copper in hard water that can react with chlorine to cause discoloration. A genius styling treatment that allows you to style and treat in one step for smoothness, volume, conditioning, strength, and polish. A styling spray that creates instant volume and texture that’s almost as light as air for big, lasting results on dry hair.